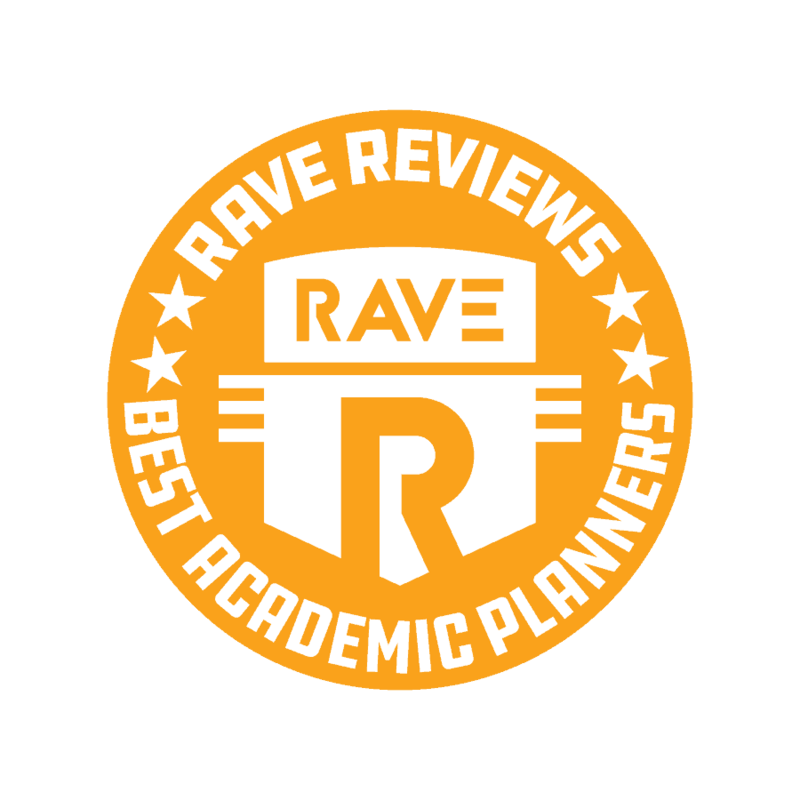 With your best interest (and sanity) in mind, the team at RAVE Reviews has settled on a spread of the best academic planners on the market. But the one that quickly rose to the top is the Planner with Pen Holder by Lemome. This is a no-frills, no-nonsense planner that gets the job done. Its strength is in its simplicity. Compact and sleek, you’ll be able to take this planner — and a pen! — wherever you go. Before you know it, this planner will basically become your second brain. Lifesaver! Life is nuts. We barrel through the day juggling a million different things — term paper due Tuesday, pick up Dad from the airport, dentist appointment at 3:30, Skype with Ryan later tonight, meal prep for the week, get groceries so you can meal prep for the week. The list goes on and on. It’s enough to make you crazy sometimes, right? There are, of course, hundreds of iPhone apps that claim to make your life simpler. But sometimes more technology means more stress. We’re glued to our screens enough as it is! Maybe the solution is to go back to the basics. Pen and paper. That’s exactly what the best planners are designed to do. An academic planner is the key to getting your head on straight. The concept is amazingly simple: condense your life — days, weeks, months, an entire year — into an easy-to-read, all-in-one-place format. You end up with the ability to tackle the tasks at hand — both the little stuff and the big-picture projects. You’re already feeling better, aren’t you? All of these academic planners get an A+ from us. We can’t recommend this planner enough. Whether you’re using it for school or just your day-to-day, the Planner with Pen Holder by Lemome is expertly designed for both function and form. 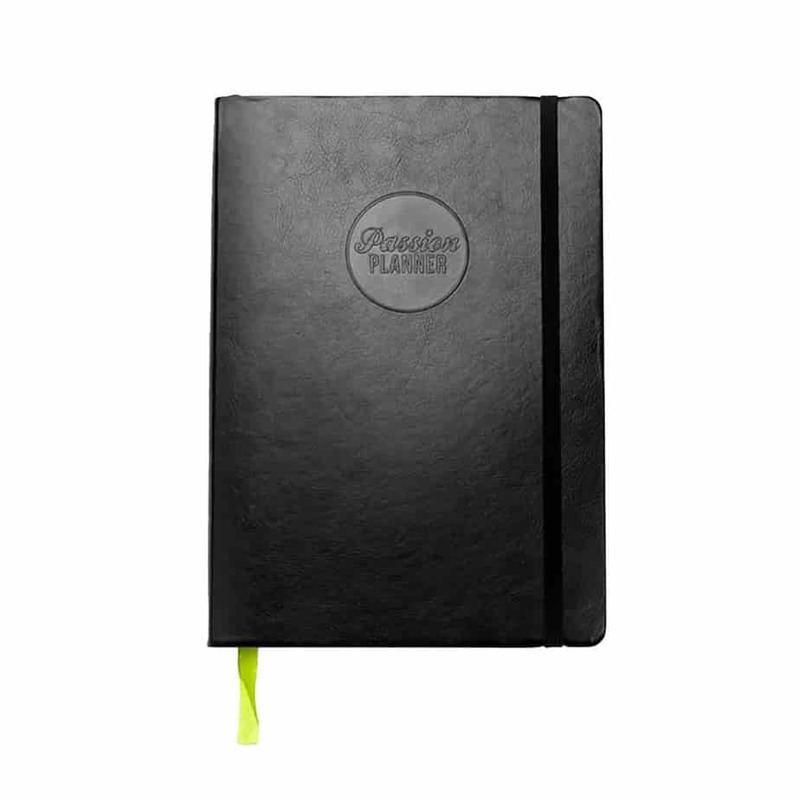 Crafted to be no larger than a chapter book, this sleek planner will quickly become your #1 go-to resource. The format of the 18-month Weekly Notebook Planner is perfect for the college crowd. This planner carries over the classic Moleskine design in a format that is part-planner, part-journal. You’ll find a weekly calendar on the left, and lined paper for notes, doodles, or lists on the right. The Student Academic Planner by Five Star was designed with the high school student in mind. The dates span August to July, keeping with the academic school year. In the back, you’ll find tons of helpful info like the periodic table, conversions, and proofreading symbols. Let’s be honest. We’re all a little bit scatterbrained when it comes to some aspect of our lives. There’s just too much going on not to be! With a personal planner, there can at least be a method to the madness. Think about how much stress you could remove from your life if you could consolidate all of your “to-dos” and appointments and assignments into one place. Humor us for a moment. Let’s take a step back from the functional use of a planner and get a little philosophical: What if the bigger reason for getting a planner is because we all need some direction in our lives? Maybe you’re preparing to go to college and are worried about keeping your grades up. Maybe you have trouble sticking with your budget and need a place to keep track of purchases and shopping lists. Maybe you simply want to push yourself to reach some long-term goals and get more organized in life. Whatever that need for direction is in your life — academic, financial, spiritual, physical — just naming it will help you pick a planner that is catered toward that goal. Now that you have your direction in mind, you need to take inventory of your budget. How much do you want to spend on a planner? Or, perhaps a better question: how much are you willing to spend on improving your life and well-being? You’re going to be making a purchase that will hopefully last you the entire year. That means you want it to last! And this isn’t just something that you’ll use now and then. If you find the right one, your planner will basically become another limb to you. It’s tough to give you a ballpark number for what you might spend on a planner. Because planners can cost anywhere from $10 to $100 (or more!). When it comes the top 10 on our ranking, they range from $13 to $55. To be honest, a higher costing planner doesn’t always correlate with a higher quality planner. More on that below! Let’s talk details now. While most planners have a similar overall goal — make life easier for you — the actual structure and materials will vary greatly between 2 planners. There are 2 big elements that can serve as indicators of your planner’s quality: paper and binding. Paper comes in all shapes and sizes. But you’ll want to keep your eye out for some specific paper specs when it comes to selecting a planner. GSM: This stands for grams per square meter. To give you an idea, standard printer paper is 80gsm. The higher the number, the thicker the paper. This is supposedly an international measurement, but it’s not always used on products from the U.S. Bond Weight (lbs): Here’s the more common figure you’ll see. This method is measured based on the weight of 500 sheets of paper. The measurement is represented in pounds (lbs). It may look crazy to see a paper labeled as 22 lb — don’t take it literally! The standard weight is 20 lb, but a higher quality paper might be closer to 28 to 32 lb. Now that you’ve got the basics on paper, let’s take a look at the spine of the planner. There are a surprising number of ways to bind a planner. And they all have their pros and cons. Book Binding: This is exactly what it sounds like. You’ll find a majority of planners with this binding because it’s sturdy, affordable, and easy to write in. However, it’s tricky to lay a planner with book binding flat on a surface. Even more, you don’t have the ability to add or remove pages. Spiral Bound: This binding includes a wire or plastic coil that loops through pages. This is a popular option because of its sturdiness and the ability to lay the planner flat. However, sometimes the spiral can be large and somewhat bulky. Discbound: This is a somewhat DIY approach to binding on a planner. The discbound design allows you to add or remove pages to your planner. However, the pages require a special punch that will fit the discs and the pages aren’t as secure as other binding methods. And the discs themselves can sometimes be cumbersome. The Lemome Planner with Pen Holder is the “gold standard” of planners. Produced by Lemome, an office supply company, this planner is the solution to a whole range of organizational needs. It spans 14 months (May to June), with weekly and monthly pages so you can break down your goals in bigger or smaller increments. This planner strikes the balance between elegance and practicality. It comes in a non-intrusive compact size of 8.4” x 5.75” which allows you to take it with you anywhere — in professional or day-to-day settings. The small add-ons go a long way for the Lemome Planner. For instance, the pen holder allows you to never come up empty-handed when you need to jot down an entry. An elastic strap keeps your planner securely shut when it’s in transit. Even more, you’ll also find two bookmarks and calendar stickers tucked inside the inner pocket. The Five Star Student Academic Planner is a must-have for back-to-school high school students. Don’t let its affordability (an impressive $13) fool you. This planner still checks off all the boxes for planner essentials — clear design, price, and quality. First step, choose from 6 bold colors. Inside the planner, you’ll find a 2-page spread of each week that includes ample lined space for each day. In addition, the ruled writing space includes checkboxes to mark off completed tasks. 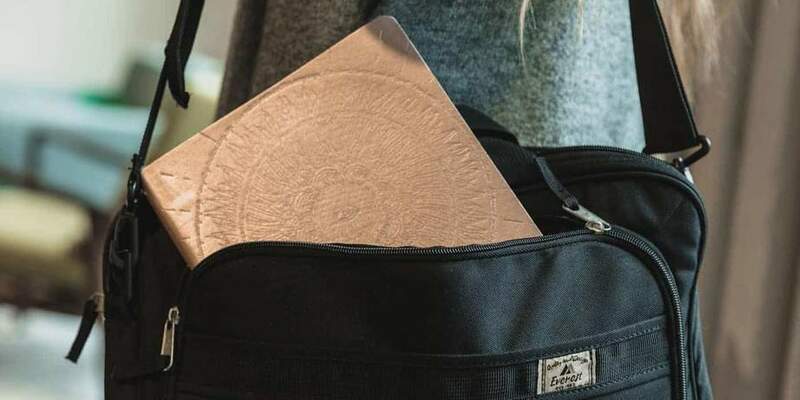 The spiral-bound spine is protected by a cloth cover so you don’t have to worry about it snagging on anything in your bag or backpack. Flip to the back of the Five Star planner, and you’ll find a whole section of supplemental resources that are relevant to high school students. Take, for instance, state capitals, spelling tips, common math and measurement conversions, and more. The Passion Planner reaches beyond just the daily tasks and assignments. This planner is more like a life coach! Early on, you’ll identify key short-term and long-term goals through the Passion Roadmap. Each week, then, you’ll have space to set both personal and professional goals. The format of the Passion Planner is fun, interactive, and all-around inspiring. Each week’s spread includes words of encouragement, a side panel to write down “Good Things That Happened,” and open space for extra notes. In the back, you’ll find guided questions to help you reflect on your progress and set new goals. 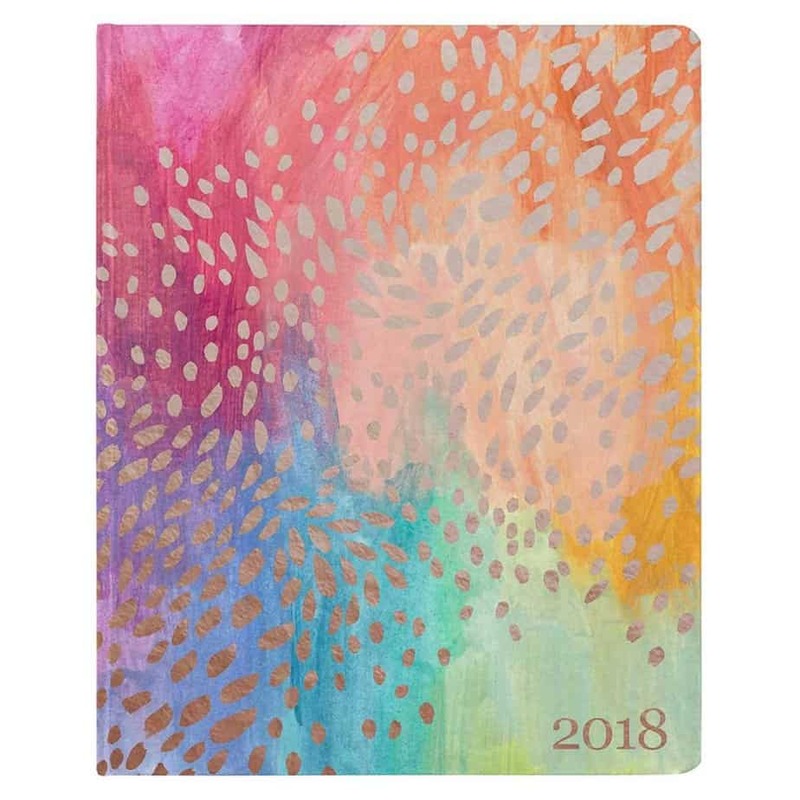 The LifePlanner by Erin Condren will bring a splash of color into your life . . . as well as some much-needed structure! Delightfully displayed in 4 different unique designs, this planner is for those who have an eye for beauty. Unique to the LifePlanner, you not only choose a cover design — Black Daisies, Vintage Floral, Woven Wonder Ivory, or Woven Wonder Sapphire — but you also choose the weekly layout. There are 3 options: Horizontal, Vertical, or Hourly. Pick whatever visually and organizationally works best for you! The Erin Condren LifePlanner also gives you all the add-on goodies to motivate you in your goals. You’ll get 4 full sheets of fun stickers with metallic accents, as well as a pocket folder insert to stick momentos, notes, or reminders. This is, of course, just the cherry on top to the overall smartly-designed weekly and monthly spreads to keep your schedule on track. Panda Planner takes a holistic approach to life. The Panda Planner is not just for organizing your schedule; it wants you to take on the world. Work-life balance. Relationships. Finances and budget. Productivity. The Panda Planner has a place for it all. Here’s the gist of it: the entire planner runs on the concept of optimism. You’ll find a daily section, weekly section, and a monthly section. Each spread has a place for you to account for moments of gratitude, develop positive habits, and cultivate joy. In fact, this planner is more geared toward projects of personal growth than work projects! The Panda Planner Classic comes in 4 different colors — Black, Cyan, Orange, and Purple. Different from an academic planner, this one only covers 90 days, or 3 months. That means you’ll need a new one each quarter. But after filling one of these with your goals and gratitudes and achievements, you’re guaranteed to be coming back for more. 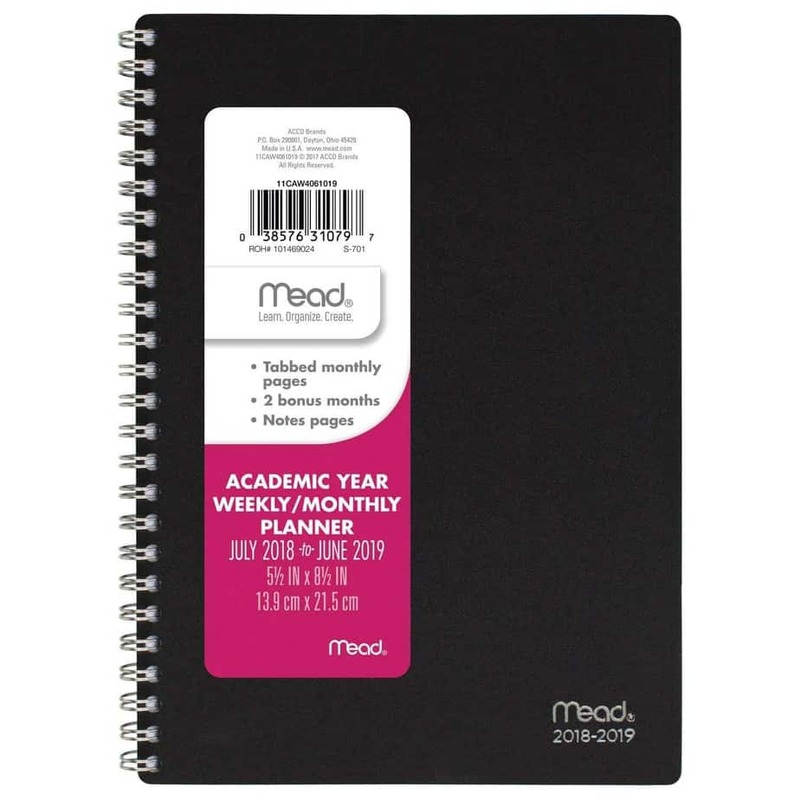 The Hardcover Academic Year Planner by Global Printed Products is a great choice to get you through the school year with straight A’s and a social life. This is a 13-month planner that spans from June to July of the next year. Each planner comes with easy-to-reference monthly tabs on the side and a page-finder bookmark that matches your cover. One of the biggest draws to this planner in particular is its hardcover design. In fact, the cover is advertised as being thicker than a U.S. nickel! This feature basically guarantees that you’ll have this planner with you from the first day of school to the last bell before summer break. Global Printed Products offers up 12 different unique cover designs for this planner. Some of these whimsical options include Pineapples, Pastel Stripes, Elephants, Spring Floral, and more. Or, you can chart your own path by picking the basic Grey Marble design and covering the front with cool stickers. Sometimes basic is best. That’s what you’ll find with the Academic Planner by Mead. This is a 12-month planner that ranges from July to June. It keeps the high school and college student in mind, then, when it comes to the layout of the planner. You’ll find weekly and monthly spreads with extra undated space on each to add any of your additional thoughts or doodles. 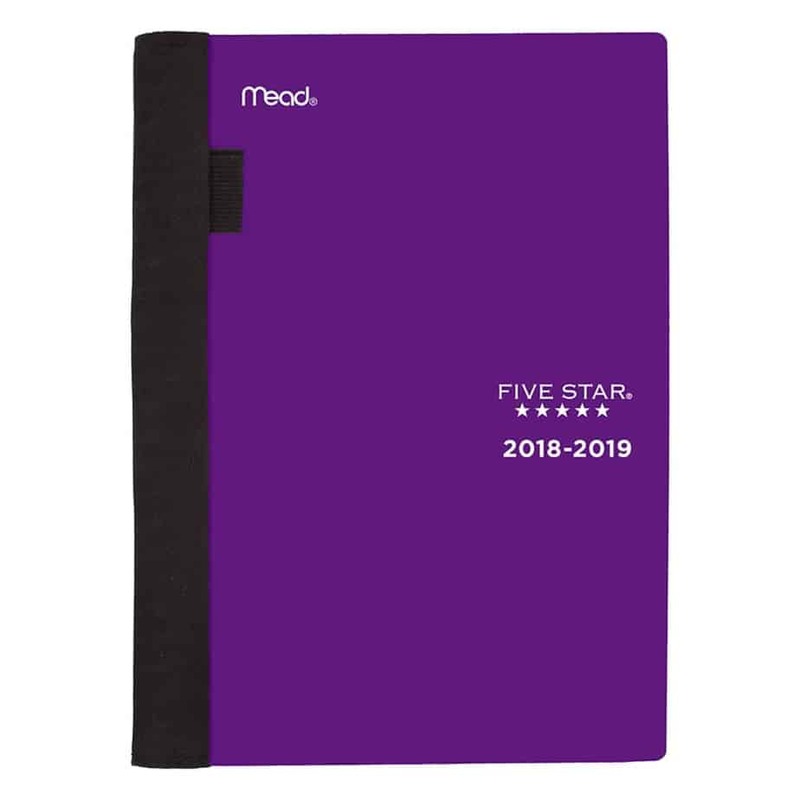 The aesthetic design of the Mead Academic Planner has its pros and cons. While it has 2 different cover designs — Dots or Hearts — if you order it from Amazon, you don’t get a choice in which of the 2 covers you receive. Additionally, the cover design is only on the front of the planner. Aside from the daily spreads and monthly calendars, you’ll find a few more supplemental resources and notes in the front and back of the Mead planner. For instance, you can zoom out of the immediate and fill out the Future Planning pages. 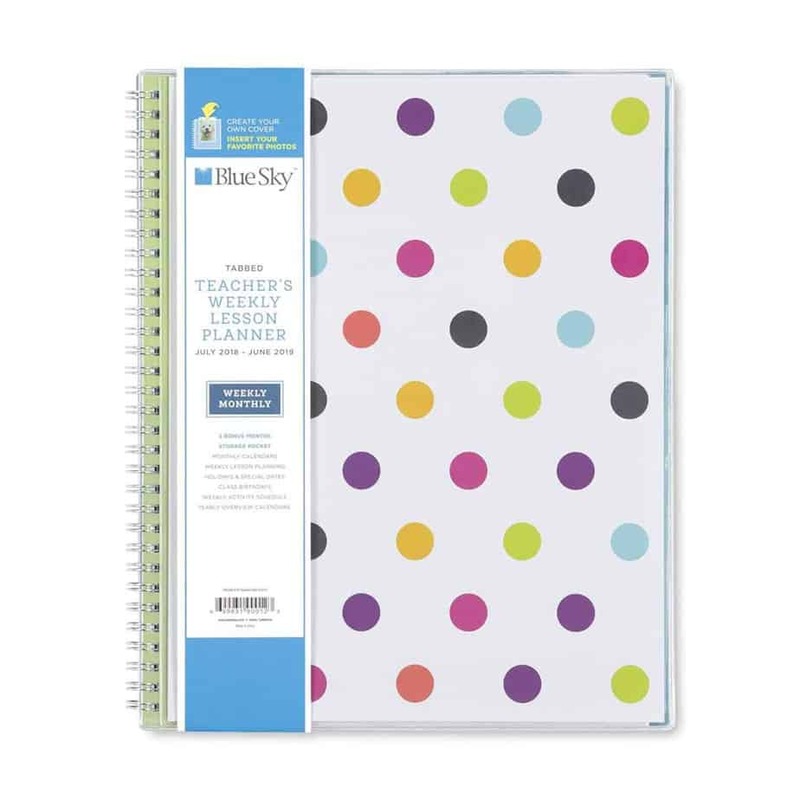 The Blue Sky Academic Year Planner packs a punch. It’s not only visually stunning, but it somehow manages to also encourage structure and motivation through its pages. In many ways, this is your standard academic planner — but the Blue Sky Academic Year Planner also has a ton more to offer! The first few pages give you space to set personal, relational, financial, and work goals. You also have the chance to plan out your morning and evening routine. Once you jump over to the daily planner, then, you have the direction and mindset you need to tackle your goals. Each weekly spread includes to-do lists, inspiring quotes, and a priority list. While the cover design is an eye-catching floral print, you also have the option to customize. The front cover has a clear sleeve overlay that can hold your photos, notes, quotes, or anything you want front and center! Classic and minimalist in nature the 18-month Weekly Notebook Planner by Moleskine is a no-frills approach to planning. You’ll find the typical Moleskine look — rounded edges, smooth hard cover, crisp pages, and a book binding. This planner gives you the freedom to take charge of your life. On each weekly spread, you’ll find Monday through Sunday on the left side (with open space to fill in your schedule), and lined notebook space on the right side. This frees you up to customize your planner to your needs. Maybe you’ll keep track of your fitness goals, or do a bullet-journal, or write a weekly grocery list. 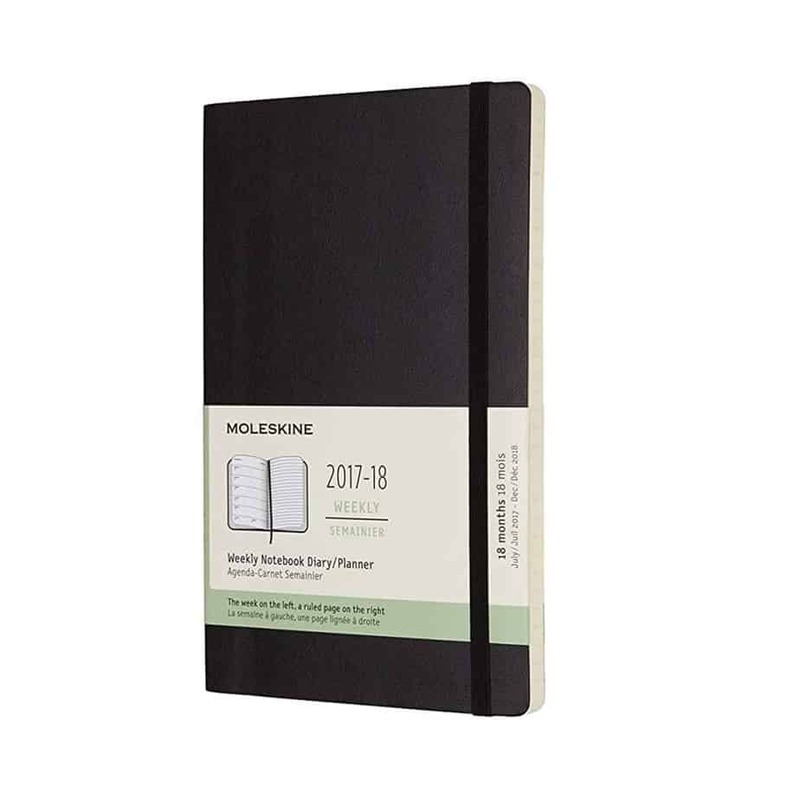 Considering that this planner lasts 18 months — from July to December of the next year — and that it carries the reputable Moleskine namesake, you’re guaranteed to get your money’s worth. This planner comes in 6 solid colors — black, cinder blue, sapphire blue, lichen green, daisy pink, and scarlet red. DIY crafters, rejoice! The Happy Planner Student Edition by Me & My Big Ideas is your dream come true. This planner is part-scrapbook, part-calendar (18 months, in fact). You can be as hands-on or hands-off as you want with this 9.8” x 8.6” planner. For starters, this planner has a discbound spine, which means you can sub pages in and out as you please. It includes full-size laminate tabs for each month of the year. All of them are totally unique, with whimsical designs and inspirational quotes to set you on the right path for the month. The best part about the Happy Planner-Student Edition planner? Accessories! 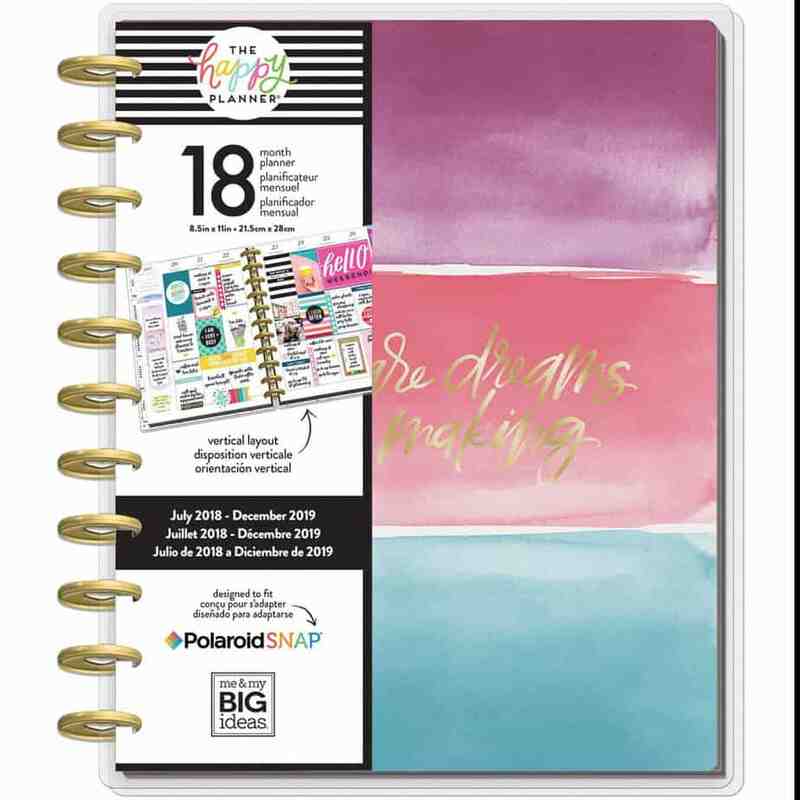 Me & My Big Ideas has a ton of materials to spruce up your planner. You can buy washi tape, stickers, colorful pens, sticky notes, and more. Your Happy Planner-Student Edition will become an extension of your creative self! Aren’t all planners basically the same? Here’s the short answer: Nope. It’s understandable why some people think that an academic planner is a dime a dozen. How much variance can there be to a notebook full of days and weeks of the year? Turns out, there’s a lot! 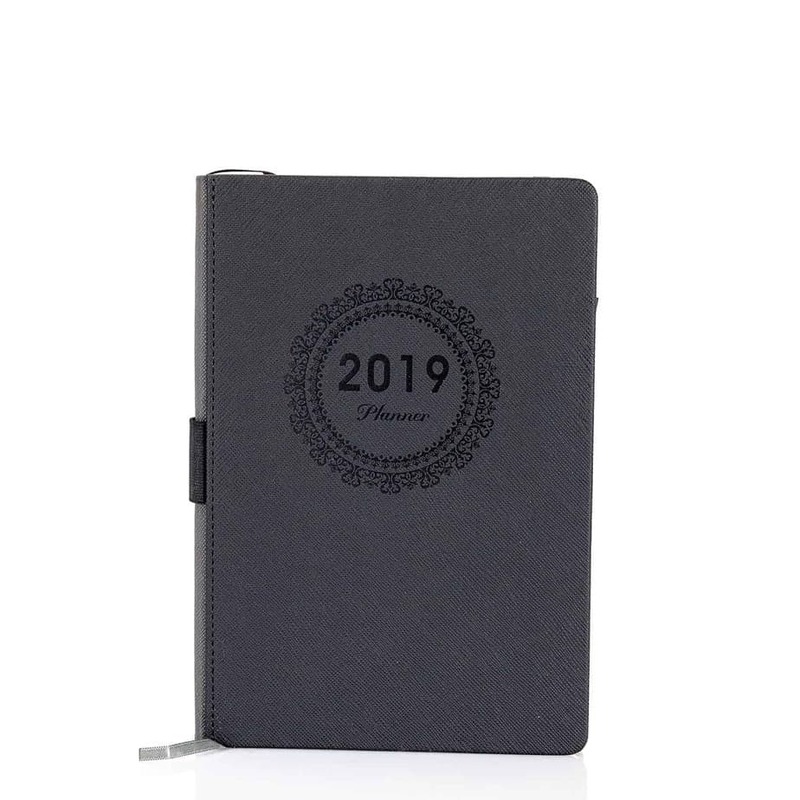 What size should my planner be? Do I want my planner to follow the academic year? What kind of daily or weekly format should my planner follow? Do I want a yearly planner? 3-month? 18-month? How to I want my planner to look? What should be on the cover of my planner? There are dozens more questions you could ask to narrow down your search for the perfect academic planner. But when it comes down to it, 10 people in a classroom will likely have 10 different planners. Planners serve a hugely individualized purpose — it just makes sense that there would be a wide variety to choose from! 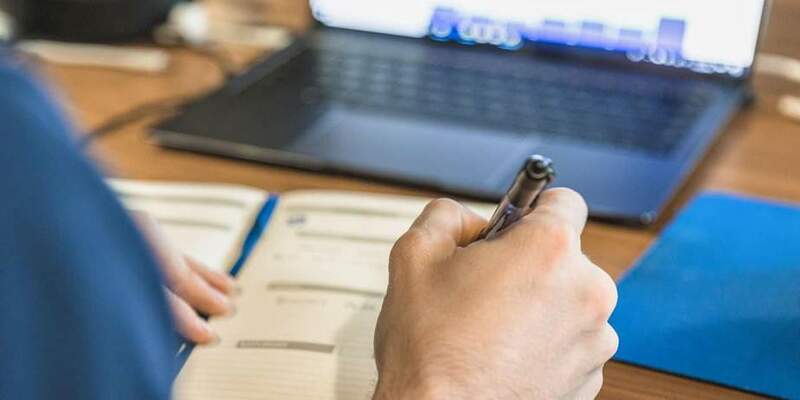 The team at RAVE Reviews can lead you in the right direction, but you ultimately have to take stock of your own specific needs before finding the planner that is right for you. How will an academic planner help me? An academic planner is a lifesaver. Think about it — it can function as a calendar, a personal trainer, a stress-reliever, a task-master, a creative outlet, and more. 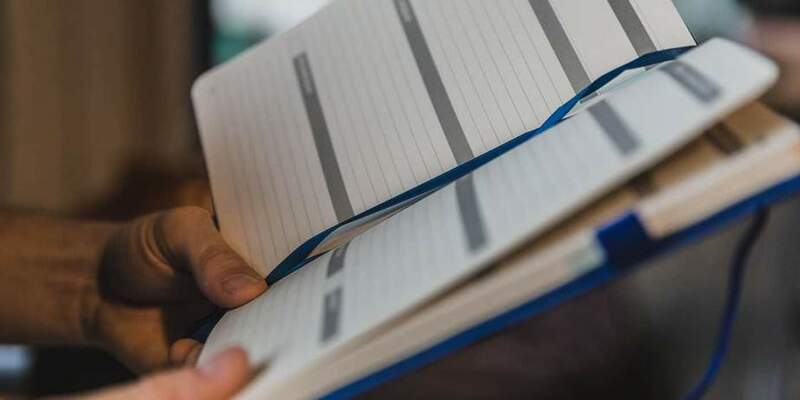 At a time in which the demands of life are high and the time to do it all is limited, an academic planner is your guide to responsible living. 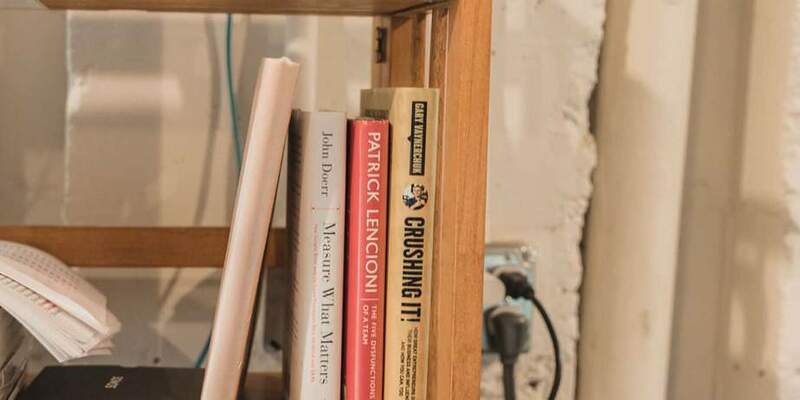 Self-help books are a booming business. This is for good reason. Chronic stress is a daily reality for a good majority of Americans. In fact, in 2017, a Gallup poll determined that around 8 in 10 Americans (or 79 percent) are affected daily by stress. What’s the best way to organize my academic planner? Layout! Basically, you have 3 options: Horizontal, Vertical, or Hourly. The most common one is a horizontal layout, which shows the days of the week in 7 horizontal blocks stacked on top of each other between the 2-page spread — Monday, Tuesday, Wednesday on the left and Thursday through Sunday on the right. A vertical layout is great for those of you who love lists. You’ll find the days of the week in long vertical columns along the pages. This means you’ll have lots of room for short, bullet-point to-do items. For those of you who need help staying on track during your day-to-day, the hourly layout would be the best pick. Each day is broken down hour by hour. This is perfect for folks who have lots of work meetings or appointments throughout the day. Color Coding! This definitely isn’t for everyone, but color coding your academic planner can be a fantastic way to visually track your daily tasks. For example, designate BLUE for school assignments, GREEN for social events, YELLOW for appointments, and RED for urgent tasks. It might take some time to master the sequence, but you’ll be able to sort out your essential tasks much faster. Embrace your inner coloring nerd! 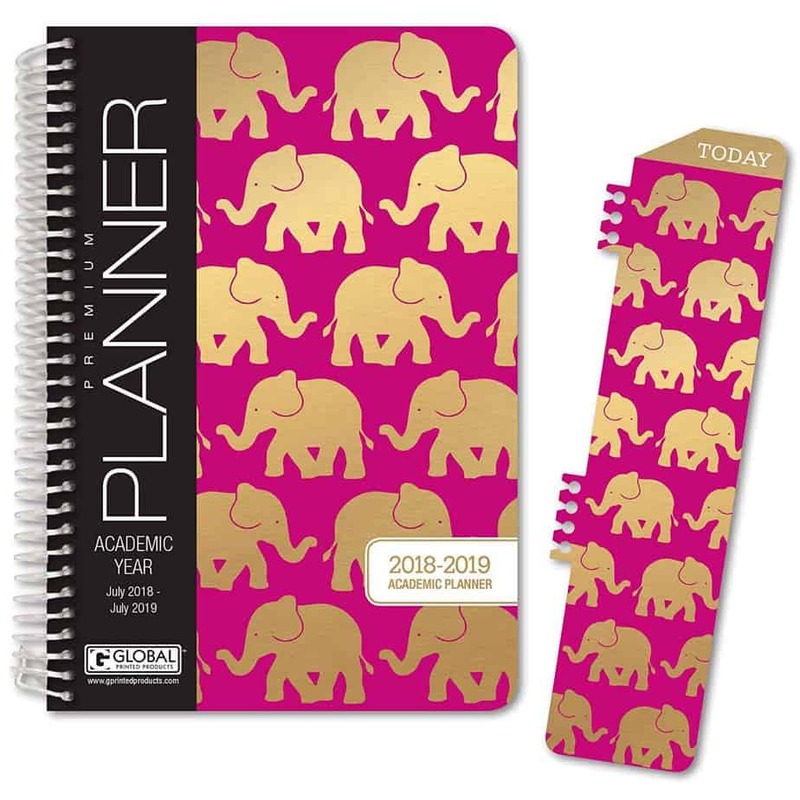 What are the best academic planners? We used the best data out there and a methodology that makes sense in order to settle on our top choices. But ultimately, the decision is up to you — because you obviously know what works best for you! Staedtler Triplus Fineliner Pens: Add some color to your pages! You’ll get 10 brightly-colored pens that are both environmentally-friendly and dry-safe. They have a super fine tip to prevent any bleed-through. Uni-ball Signo Gel Ink Pen: If you’re more of a one-stop-shop kind of person, this is your pen. Clean lines, a 0.38mm tip, and black gel ink. One pen to rule them all. Bloom Daily Planners Sticker Sheets: Turn your planner into a creative space! Here you’ll find over 230 seasonal and holiday-themed stickers to add a sparkle to your weekly layouts. Morning Sidekick Journal: If you’re already in the market for improving your habits, why not add some daily journaling? This is a guided journaling process that helps you track your sleep, strategize for the day, and tackle challenges. Mary is a writer and massage therapist from Pittsburgh, PA.